CM Services Construction Management division provides our clients with direction and guidance through the construction of projects large and small. By providing professional staff, technical services and involving project stakeholders; we ensure projects are completed on-time, under-budget and to the highest quality. CM Service’s construction managers have represented many public agencies including the Pennsylvania Turnpike Commission, PennDOT, Port Authority of Allegheny County and the City of Pittsburgh. A full scope of services are provided from pre-construction through project close-out. Preconstruction services provided by the construction manager commenced during the final design phase of the project. Five roadway sections are being prepared for PS&E and are under consideration for the selection of an optimum bid schedule and sequence for the project. The final design activities for these major construction sections are anticipated to be completed within approximately 18 months. Services provided project included cost estimating, scheduling, constructability reviews, bidability reviews, value engineering, and review of final designs as they are being completed. Recommendations on design alternatives are being made during this phase of the project with particular emphasis on cost reduction and environmental sensitivities. Ancillary projects include: Utility Relocations, Maintenance Facility, Property Demolitions, Signing, Lighting and Fiber Optics for the expressway. Construction phase services include full project management and inspection services for the 6 mile, $200M highway. MFE Project office staff responsibilities included: Submittal reviews/approval, contractor’s pay estimate review, contract change order development and processing, local resident claim review, resolving contractor and traveling public safety issues, public relations, contractor value engineering analysis, project accounting, estimating and scheduling. Field responsibilities will include included 5 different field offices that each managed and inspected a major construction contract. Each field office consisted of a resident engineer/inspector, documentation (computer) operator, and an inspection staff that may total 35. 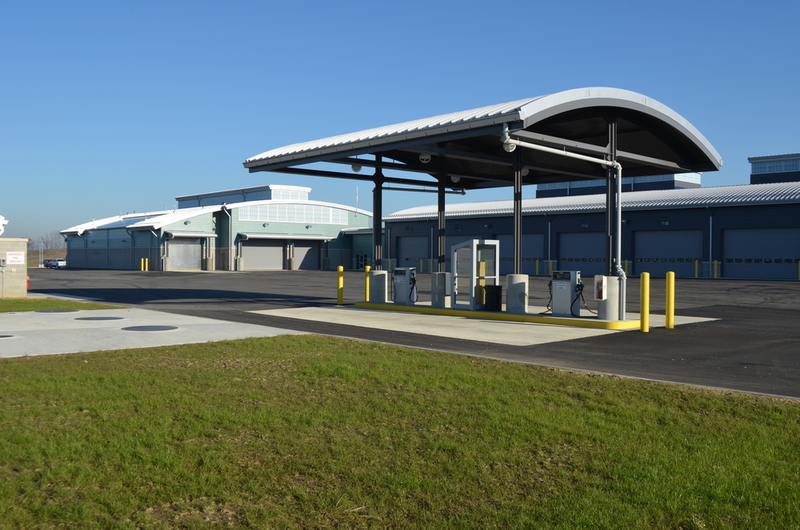 CM Services performed the construction management for the Uniontown to Brownsville Maintenance Facility situated on the Southbound side of Mile Marker 18. The maintenance facility complex serves 34.8 miles of highway starting from the West Virginia border northward to the vicinity of the California Mainline Toll Plaza. 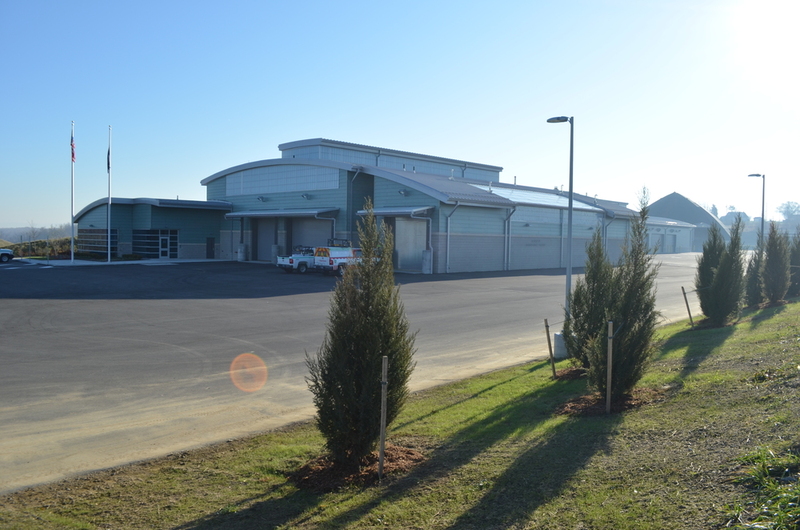 The project included construction of six new buildings: the maintenance building, vehicle/equipment storage building , salt storage building, emergency generator building and administration building. Work included: selective demolition, excavation, grading, paving, utilities, fencing, landscaping, concrete, steel erection, insulation, standing seam panels, overhead hoists, loading docks, garage/man doors, new electrical service, domestic water, new main fire service, extension of existing sanitary sewer, underground fuel storage tanks and vehicle fuel dispensing system. Our Construction Management team also represents private owners in the institutional, commercial and residential markets. We provide flexibility in managing all aspects of construction projects to protect the owners’ interests.